Olllld pic, from an ooooollllllllllllllld RP. -w- The first male/male spanking pic I ever drew. 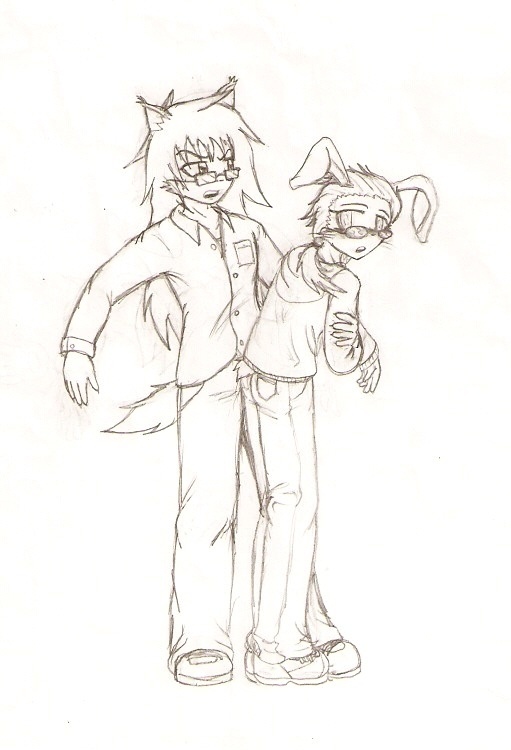 xP Ciscero, the half-blind bunny, spanked by Hakujin, the wolf. I read that last line as Cisero belongs to me somewhere else at first and I was like.WUH? I actually feel bad for this character here. Oh well.